This is a rectangular Chris Craft Motor Boats porcelain sign. This particular Chris Craft Motor Boats sign is predominantly white with blue and red text. 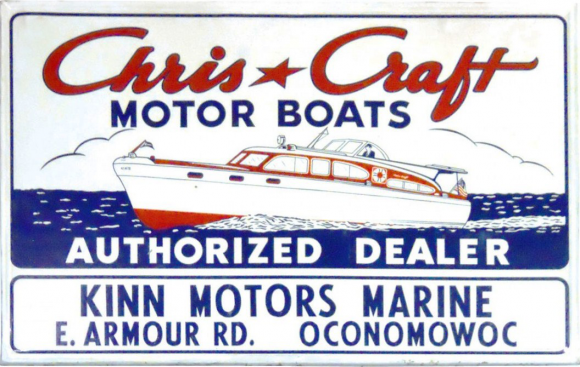 It reads, “Chris Craft Motor Boats, Authorized Dealer, Kinn Motors Marine, E. Armour Rd., Oconomowoc” and features a red speedboat on blue water in the center.